Individuals who have had diverse and stimulating life experiences that will enable them to add value to their classmates and to the College of Pharmacy community in meaningful ways. 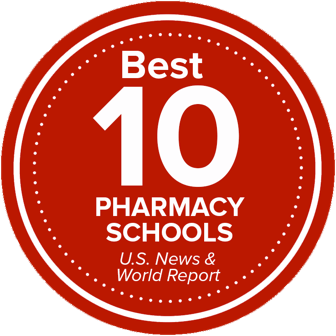 The Ohio State Doctor of Pharmacy program operates on rolling admission. Applicant review begins as early as September for early decision applicants. Regular process student interviews occur between January and March. You are strongly encouraged to apply as early as possible after the opening of the PharmCAS application. Doing so gives your application the chance to be reviewed and considered for an interview the most times. Ohio State uses the Pharmacy College Application Service (PharmCAS) to process transcripts, test scores and letters of recommendation. We encourage students to begin the application process 12-18 months prior to intended enrollment date. The program application opens for each new cycle in early-to-mid July of each year for student seeking admission for the following autumn. The PharmCAS application deadline to be considered for the next cohort, which begins at the start of autumn semester, is the first Monday in February each year. Applicants must submit the Ohio State supplemental application to complete their application and have it be reviewed. Upon submission and verification of your PharmCAS application, you will be emailed by the Office of Graduate and Professional Admissions to create an Ohio State user ID and account login information. This email will come approximately 5-10 business days after your verification. The day following your creation and activation of a username, you will then have access to the supplemental application. Ohio State accepts international applicants for the Doctor of Pharmacy program. International applicants are encouraged to apply early to allow time for transcripts to be reviewed. Send your original transcripts directly to the Graduate and Professional Admissions Office in a sealed envelope. If accepted, international students will need to complete a financial review prior to being able to matriculate to the program. Students entering this program are required to complete a Bachelor degree prior to matriculation. The Dean or Director of Student Affairs of the pharmacy school which the applicant is attending must submit a letter summarizing the applicant's credentials and verifying that the student is in good academic standing. The student must submit a copy of his/her pharmacy school application including PCAT scores and all previous college transcripts. The student must submit a formal request for transfer outlining circumstances regarding the potential transfer. Once these items are received, the Admissions and Financial Aid Committee reviews the situation and rules on the transfer request. If approved for a transfer, the candidate is then able to work with the appropriate faculty to determine pharmacy course equivalencies. The College of Pharmacy faculty for each appropriate course determines the equivalency of prior coursework. The staff in the Student Affairs Office facilitates this process. **We consider all applicants who meet our minimum requirements. We review all aspects of your application, including your personal statement and letters of reference, in combination with your academic profile to determine which students are invited to interview. Therefore, we encourage students who fall outside of the listed "most competitive" ranges to apply. Send your transcripts to PharmCAS immediately upon beginning your application. Receiving and processing these can take up to four weeks. Submit your PharmCAS application before September 4 with your transcripts having been received as well. **Interviews are conducted and admissions decisions issued on a rolling basis. Therefore, the earlier you complete the application, the more times your application will be considered for an interview. *It is strongly in your benefit to submit your application as soon as possible. By doing so, you give yourself the best chance to have your application considered the largest number of times.